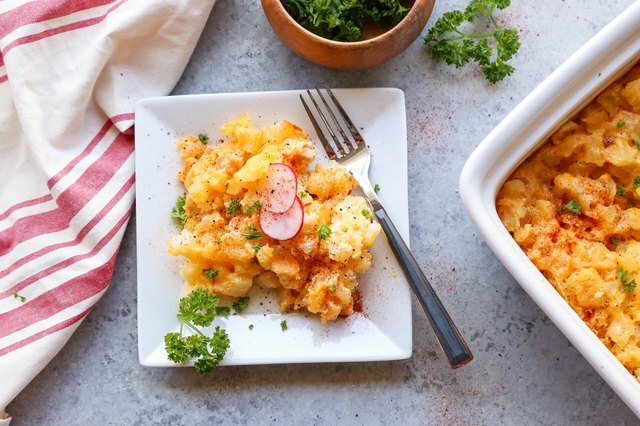 Hashbrown casserole is an especially delicious dish to whip up when serving guests for brunch. Loaded with cheesy flavor, this comforting side is sure to please the palate and keep your friends and family full and satisfied. The recipe only requires a few ingredients and a maximum of 15 minutes of preparation time. Bake it up ahead of time or make it the day of for an incredibly tasty experience. Looking for inspiration for Easter Brunch, or any weekend gathering? 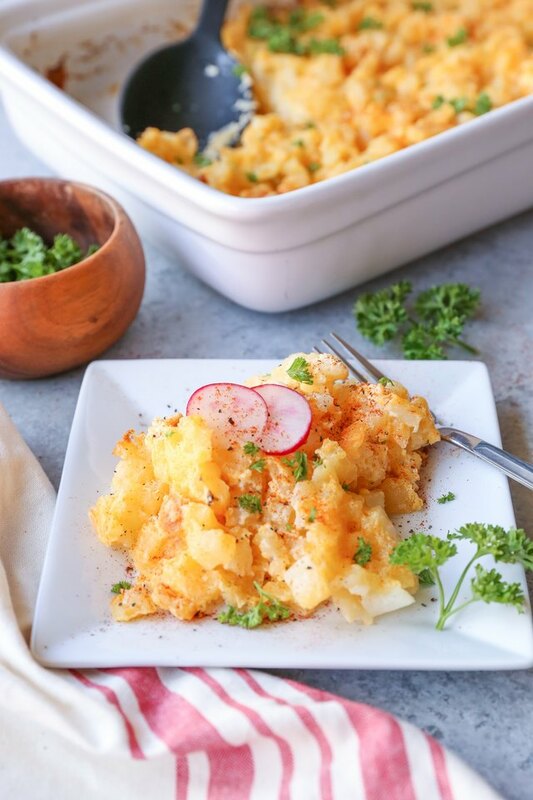 Add this hashbrown casserole to your menu! Preheat the oven to 350 degrees Fahrenheit, and lightly spray or grease a 13" x 9" casserole dish. Add all of the ingredients to a large mixing bowl and stir well. The order you add the ingredients doesn't matter, but it's typically easiest to mix wet ingredients together first, followed by the dry. Step 3: Bake and Serve! Bake the casserole on the center rack of the preheated oven for 45 to 50 minutes. Garnish with a few sprigs of fresh parsley and serve fresh out of the oven alongside your other brunch items.